As intimidating as the Thai Ridgeback may seem, there’s a reason why the Lion Hunting Dog is growing in popularity. Archeological documents show the Thai Ridgeback has a rich history that dates back to 360 years ago. In fact, he’s practically considered royalty around Southeast Asia. Are you prepared to handle the Thai Ridgeback regalness? Do you have what it takes to knock a king or queen off their thrown if they misbehave? 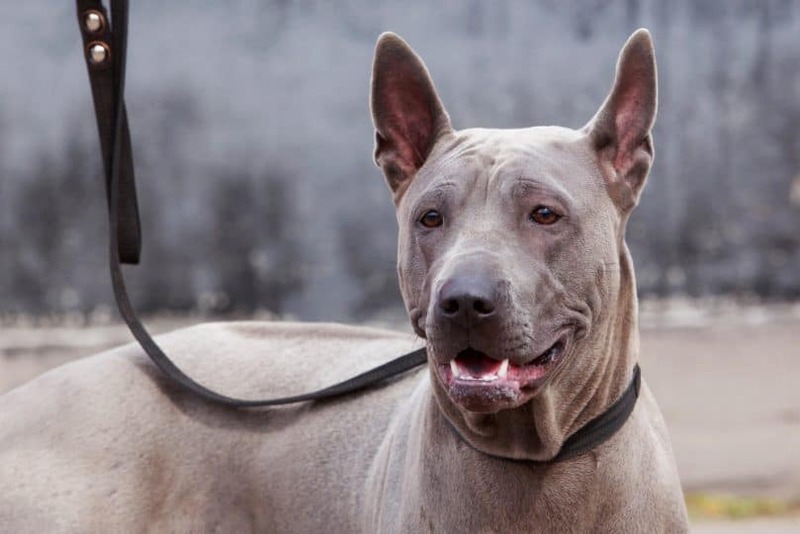 I put this article together as a way to bring more positive attention to the Thai Ridgeback, a breed that remains overshadowed by its Rhodesian Ridgeback cousin. 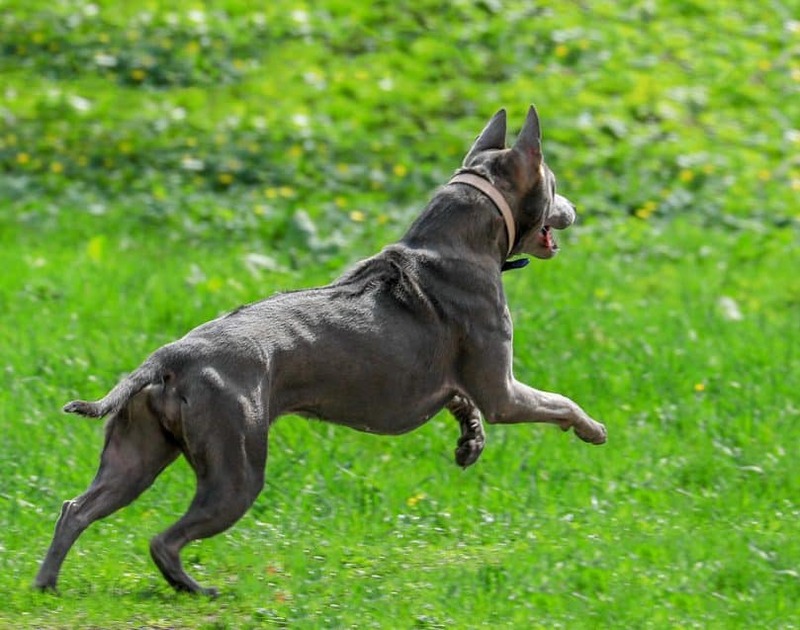 Thai Ridgeback Vs. Rhodesian Ridgeback: What’s The Difference? Thai Ridgeback: What’s Good About Them? Is The Thai Ridgeback Protective Or Aggressive? Is The Thai Ridgeback Hypoallergenic? Is The Thai Ridgeback Right For You? Thai Ridgebacks typically live between 10 – 12 years. Smart and independent, Thai Ridgebacks need a confident owner with a strong – but not harsh – hand. They respond well to authority but will continuously try to get their way and push boundaries. Thai Ridgebacks make good companions for older children, as they may be too rambunctious for a toddler or baby. Early socialization is key and it’s better to start as soon as possible to avoid possible aggression toward other dogs and strangers. These dogs are highly protective. As a first impression, the Thai Ridgeback looks strong, regal, and intimidating. He has a strong back with a distinctive ridge (meaning the hair grows in opposite directions), pointy ears, and muscular body with loose-fitting skin. Other notable characteristics include almond-shaped eyes, a tapering tail, and long hind legs. The Thai Ridgeback is considered a healthy breed overall, but he is prone to dermoid sinus. It’s the one condition you have to watch for. Dermoid sinus is a skin condition that leads to abnormal growth of the neural tubes near the dog’s neck, close to his ridge. Symptoms include lumps on the skin, a high body temperature, a decrease in appetite, and difficulting walking. Tragically, this condition is often painful and fatal unless corrected by surgery. Various tests must be conducted prior to surgery. Coat: the most common coat color for a Thai Ridgeback is grey, but they also come in red, blue, black, brindle, yellow, and brown. These dogs don’t have an undercoat, yet their fur is still considered dense. They shed about twice a year. Ridge: one of the most distinguishing features about the Thai Ridgeback is their ridge, which varies in size depending on epistatic genes. The more genes in the dog, the broader his ridge will be. It is possible to find a Thai Ridgeback without any ridge at all. Grooming: the Thai Ridgeback is a relatively low maintenance dog. They shed seasonally, so expect two influxes of fur around the house each year. Other than that, a standard nail-clipping is needed every couple of weeks and 1-2 baths each year is enough to keep them clean. Be sure to check their ears and brush their teeth every now and then. That’s standard for all dogs. 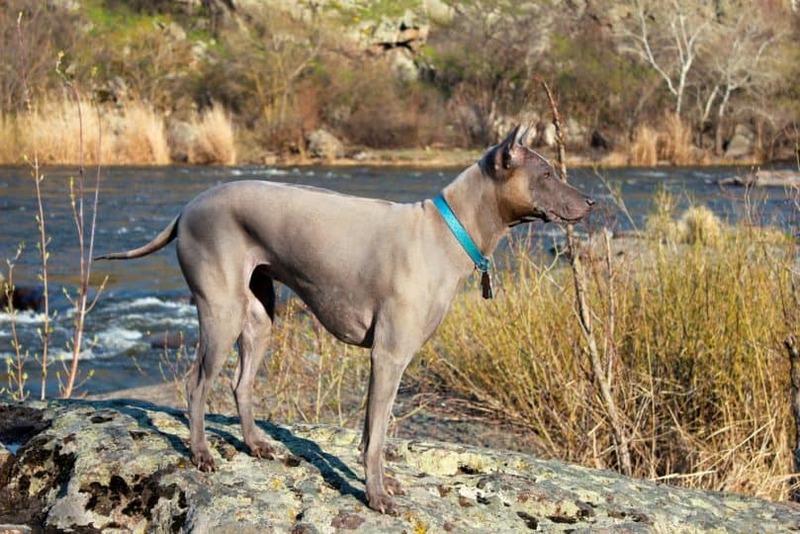 As Thai Ridgebacks don’t have an undercoat, they make an optimal dog for owners with allergies. Exercise: if you live in an apartment or don’t have a fenced yard, take your Thai Ridgeback on several walks daily. Please remember that because the Thai Ridgeback hails from warmer climates, his coat is not equipped to handle freezing temperatures. It’s best to keep him indoors during the winter as much as possible. Size: their height ranges from 20-24 inches (50 – 60cm) at the shoulder, and their weight varies from 30 – 55 pounds (13 – 25kg). A breed of such rarity deserves to have its origin story told, at least partially. The exact origin of the Thai Ridgeback is undocumented, but his breed was developed in eastern Thailand. It’s believed that he descended from the Funan Ridgeback Dog over 1,000 years ago. The Thai Ridgeback is a mysterious dog with many hypotheses surrounding his background. Even the origin of his ridge is an enigma. Research suggests it’s a mutation that occurred in Asia and Africa, thus affecting the Rhodesian Ridgeback as well. Did you know there are only three dog breeds in the world that carry a ridge on their backs? 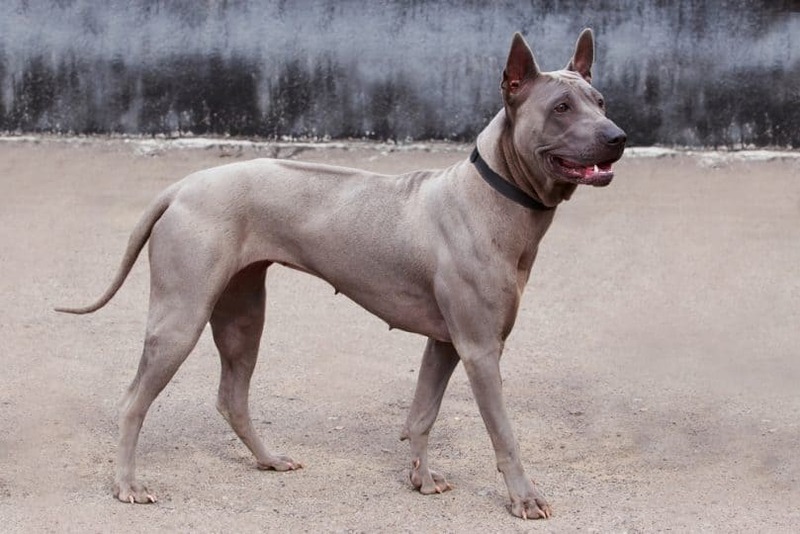 They are the Thai Ridgeback, Rhodesian Ridgeback, and Phu Quoc Ridgeback – considered one of the world’s rarest breeds. The Thai Ridgeback hails from Thailand, the Rhodesian is indigenous to South Africa, and the Phu Quoc was originally bred in Vietnam. All three belong to the hound family. If the Rhodesian Ridgeback came all the way from Rhodesia, now known as Zimbabwe, why is he more popular than the Thai Ridgeback? Well, the Thai Ridgeback wasn’t brought to the United States until 1994, whereas The Rhodesian Ridgeback Club of the United States was formed in 1957. Let’s just call the Thai Ridgeback a late bloomer. Both breeds have an unmistakable ridge that follows their backbone down to their tails. It usually rises up when the dog is excited, nervous, or in attack mode. Another similarity these two share is they were used to hunt lion. Yes, both breeds are strong enough to fight and possibly kill a lion – and they each prefer warm climates similar to their country of origin. Other than that, the Thai and Rhodesian Ridgeback are quite different in appearance. Rhodesian Ridgebacks are tan, Thai Ridgebacks are silver. Rhodesians have flat ears, Thais have pointy ears. Rhodesian tails hang low, Thai tails are slightly higher and stiffer. As for their temperaments, Thai Ridgebacks generally make better family dogs. They’re more protective, independent, and loving. 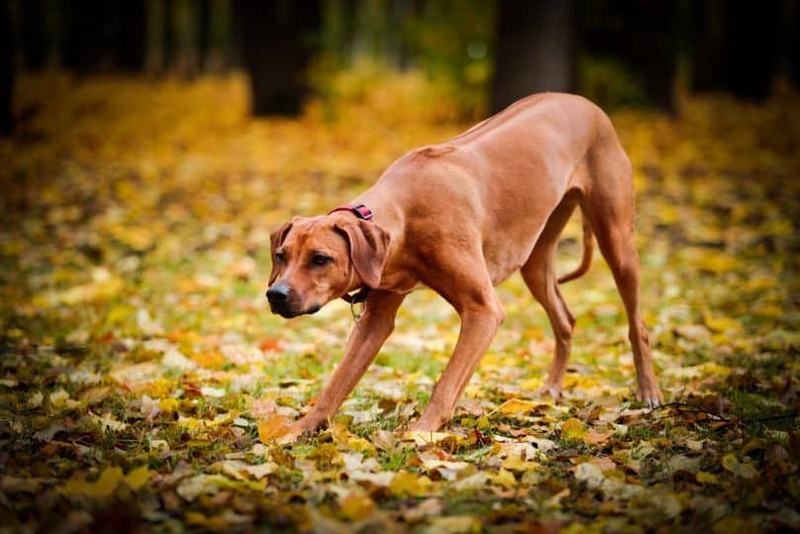 Rhodesian Ridgebacks tend to be on the sensitive side, so they require a different kind of owner, one that is not overbearing and authoritative. Thai Ridgebacks need authority to behave. Both breeds are loyal and will test the waters with their owners to see what they can get away with. A sense of humor is key for both dogs. Here’s a better question – what’s isn’t good about a Thai Ridgeback? Hundreds of years ago, the Thai Ridgeback’s powerful strength was used to push and carry carts around Thailand and transport goods to different parts of the country. They also served as protection dogs to keep the local cobras at bay, scare off wild boar, and hunt rats. These days, many families choose Thai Ridgebacks as watchdogs, and they’re sweet enough to cuddle with you, too. If you’re the type of person who prefers purebred dogs, the Thai Ridgeback might be a perfect fit. There are very few (if any) crossbred Thai Ridgebacks in the world. That’s because these dogs had very little chance of meeting a different breed back in the day in Thailand, due to their poor transportation systems. There’s a fine line between protection and aggression. The Thai Ridgeback makes for an excellent watchdog due to their primitive behavior and breed type. Primitive, in this case, means a certain breed acts and looks the same way as it did hundreds of years ago thanks to minimal human intervention. It’s in the Thai Ridgeback’s genetic makeup to be smart and alert, especially around strangers. That includes strange dogs, cats, and people. That’s why it’s crucial to begin socialization as early as 8 weeks old. In terms of aggression, if a Thai Ridgeback is not trained properly or does not have an authoritative owner, he can become aggressive and territorial – like all primitive breeds. But with proper care and attention, this breed can make a sweet family dog. The Thai Ridgeback craves companionship and loves bonding with their human owners. It’s the training part that can be tricky because they’re independent and stubborn. Owners have to be consistent, calm, and able to show them who’s boss around the house. Tough love is essential, otherwise, this dog may snap or take you for a walk by pulling on the leash. We mentioned earlier that this dog is a good choice for owners with mild allergies because he lacks an undercoat. But if you’re specifically looking for a hypoallergenic dog, move along. The Thai Ridgeback is not hypoallergenic. He sheds, albeit minimally, about twice a year when the seasons change, so expect more sweeping to be done around your home in the summer and winter. If you’re concerned about allergies or getting hair on your clothes and pillows, consider these hypoallergenic dogs instead: the Maltese, Shih Tzu, Portuguese Water Dog, Poodle, Tibetan Terrier and many others. Back in Thailand, the Thai Ridgeback rarely had close encounters with other breeds, leaving fewer opportunities for cross-breeding. The majority of Thai Ridgebacks are purebred, but every now and then, different genes get mixed in. The Pitbull-Thai Ridgeback mix is the most common. The overall appearance generally looks the same as a purebred Thai Ridgeback, except the snout is slightly bigger and wider. 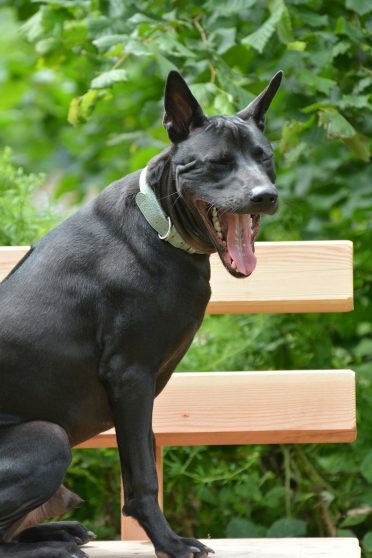 It might be smarter to look for a Thai Ridgeback mix as the price will be significantly lower. Let’s say you can’t hop a plane and fly to Thailand. That’s unrealistic. 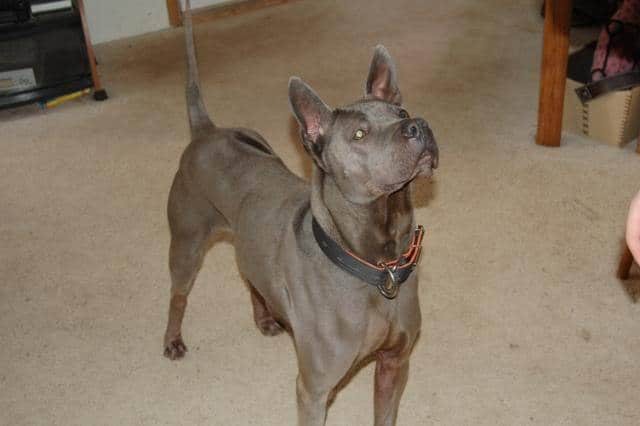 The best way to shop for a Thai Ridgeback is to use an adoption website, like PetFinder.com or AdoptAPet.com. These sites allow you to set your breed of choice and location. If that breed appears in your 10, 20, 50, or 100-mile radius, you’ll be alerted via email. Another route to go is through the official Association of Thai Ridgebacks Owners and Financers website. Feel free to check out Thai Ridgeback USA if you live in the United States. On the homepage, you’ll find a tab for available puppies and full-grown Thai Ridgebacks. It’s a breeder website that lists the parents (along with photos) and when the litter will be available to take home. It won’t be easy to find a Thai Ridgeback at your local humane society or pound due to their rareness outside Southeast Asia. Purebred dogs aren’t exactly cheap, either. The average cost of a Thai Ridgeback puppy is $1,000 – and that excludes any pedigree status. If a Thai Ridgeback comes from a long line of superior genes, it can cost up to $5,000. If you’re serious about adopting, buying, or rescuing a Thai Ridgeback, make sure your home is equipped to handle one. The same way you baby proof, you need to Thai Ridgeback-proof your apartment or house. What this means is having enough space, appropriate roommates, and a place to play. Let’s start with the obvious – the Thai Ridgeback is a big dog. He’s about the size of a German Shepherd and needs his space to feel comfortable. If you like the idea of carrying a dog everywhere in your purse, please consider a different breed. But if you’re looking for a workout buddy or someone to share half the couch with, the Thai Ridgeback is up your alley! Speaking of exercise, make sure all fences are secured and escape-proof. Thai Ridgebacks are the ultimate escape artists. They may dig to make a small hole bigger to fit through, and they may be tempted to jump over a fence if it’s too low. They are smart and will figure a way out if there’s even a glimmer of hope to roam free. If a fence isn’t bolted properly, the Thai Ridgeback is strong enough to knock it over or tear it apart. Because not all Thai Ridgebacks play well with others, it’s important to teach them the value of sharing. If you live in a house with other dogs, give them a chance to share a chew toy, a bed, or even a food bowl. This will also teach your Thai Ridgeback to be less territorial. The Thai Ridgeback is also prey-driven, so if you live with any small critters, like a rabbit or hamster, this breed will likely chase it. They used to live in the wild before humans came along, so they know how to survive on their own by hunting, killing, and eating other animals. Obviously, this could be bad news for Roger the Rabbit or Cathy the Cat. No one likes a sad ending, but the Thai Ridgeback has a strong prey drive that cannot be unlearned. It’s in their nature to hunt. Another thing to consider is where you live, geographically. Because this breed doesn’t have an undercoat, his body was not made to handle cold climates. He comes from Thailand, after all. The occasion freezing winter is fine as long as you keep a Thai Ridgeback mostly indoors. But if you live in Canada, Alaska, or somewhere where it’s cold most of the year, it might be wise to pick a breed with more fur. The Thai Ridgeback can live in an apartment as long as he’s given proper exercise every single day. Ideally, a 40-minute walk or 20-minute run is preferred. The last thing you want is for him to get bored or restless and tear up the apartment. Below is a video that explains what it’s like to live with a Thai Ridgeback. He may not be the perfect fit for everybody, but the Thai Ridgeback prefers staying out of the popularity contest anyway. This rare breed is slowly but surely making its way into homes outside of Thailand. He just needs the right owner and climate. Do you have what it takes to bring home Thai Ridgeback? Let us know in the comment section!